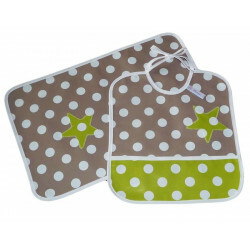 To offer or to afford, essential, the bib kit and matching set of table cloth waxed. 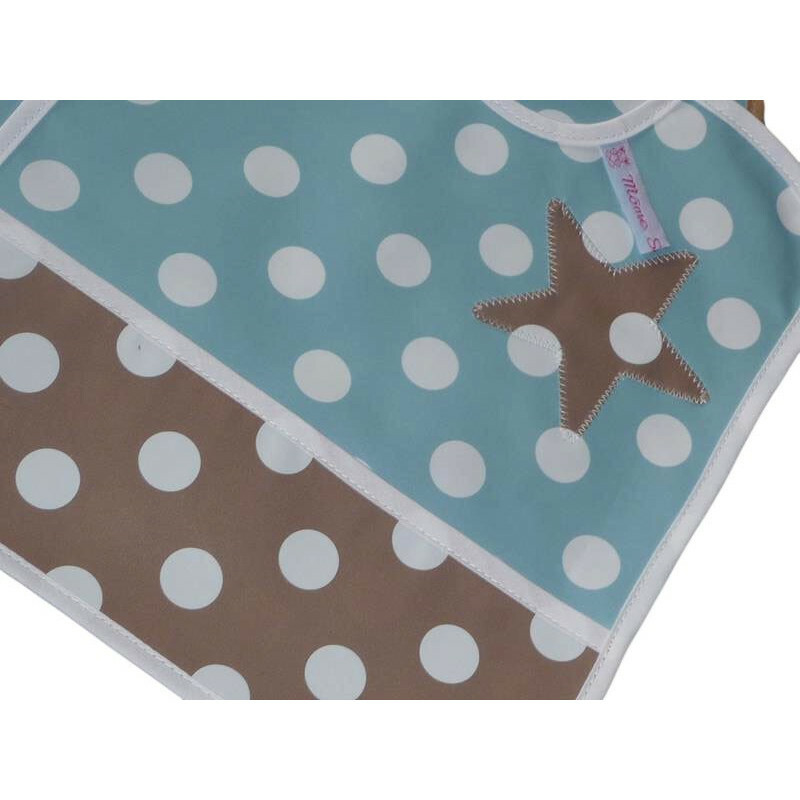 Fancy and tenderness during baby meals. 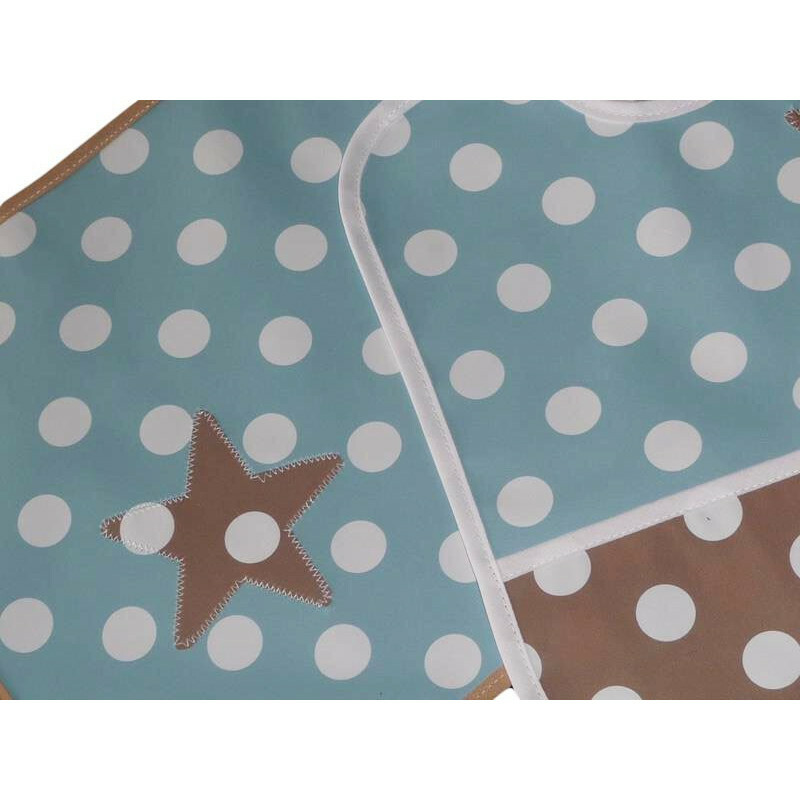 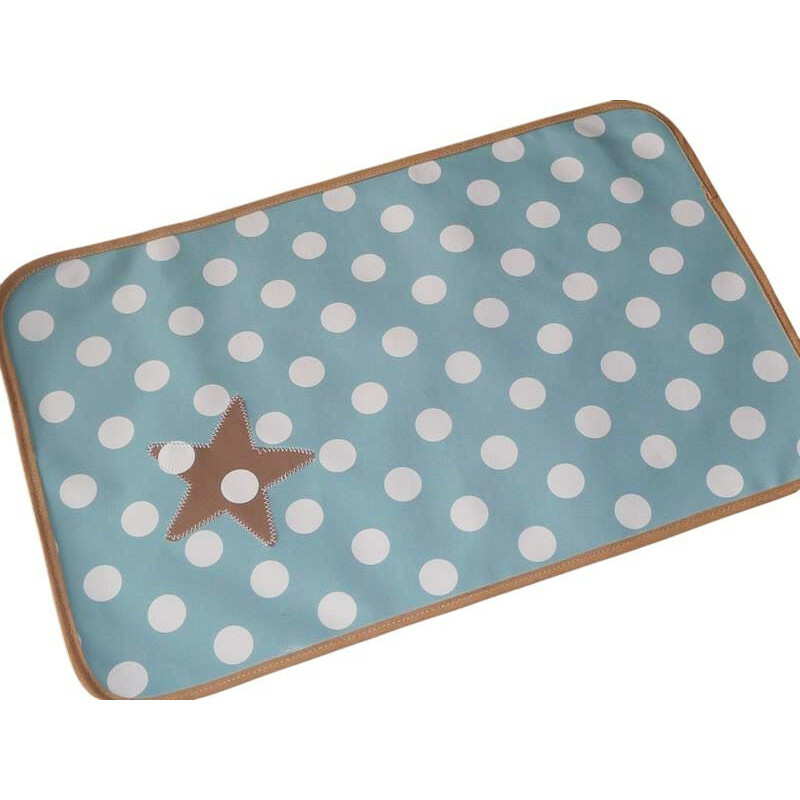 MATERIAL : 100% oilcloth linen and sky blue with large polka dots / Bias: 100% white cotton and linen. 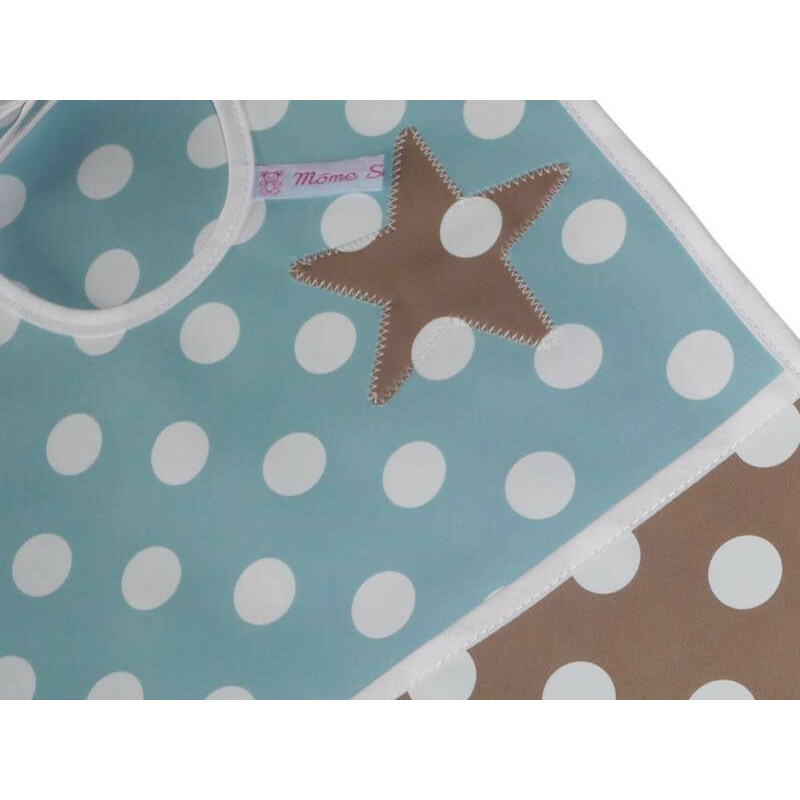 CLOSURE : Cords to tie in the neck. 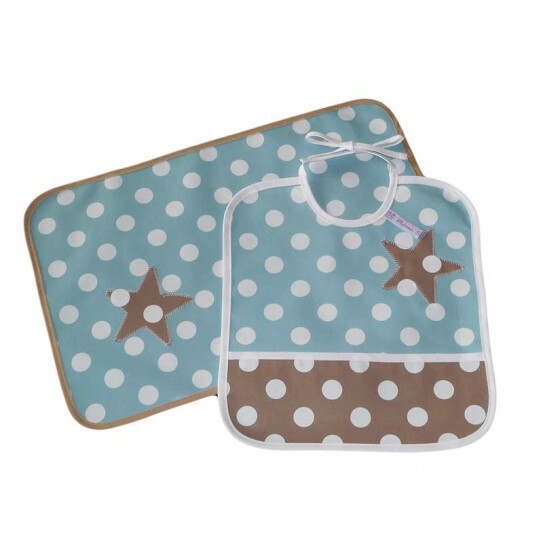 PARTICULARITY: The bib has a pocket of recovery, ideal for the small misfits of baby / Easy to wrap, the kit can be taken everywhere with you / The set of table is perfect for the beginnings of baby with the solid food / Waterproof material.